We’ll buy your house in Milwaukee and pay cash, regardless of the location or condition. Seriously. We’re a local, family-owned business and always standing by. Contact us today! Someone will reach out to you as soon as possible. We Buy Houses in Milwaukee - Would you like to sell your house fast in Milwaukee? Contact us – we can help! We'll make you a fair, all-cash offer and close the sale in two weeks or less. Call us at (414) 435-2888 to receive a no-obligation quote within 24 hours. At Metro Milwaukee Home Buyer, we buy homes AS IS - saving you the hassle of repairs and having to deal with realtors. So in case you're a property holder attempting to remain out of abandonment, have acquired a house that has turned into a weight, or are a retired person searching for money related flexibility, call us! We won't saddle you with repairs you cannot afford. We buy houses in Milwaukee, helping homeowners enjoy the life they deserve. You could be in any of the situations we mentioned above, or maybe you're just the kind of person who values your privacy above all, and you don't want to be disturbed by prospective buyers. Whatever your situation, we can help! We are cash home buyers. Our company is local and family-owned. We know the Metro Milwaukee area and its neighborhood like the back of our hands, and you'll be sure to get the best value for your home. We buy houses in Milwaukee for cash. Forget about bank approvals or waiting until an escrow closes. Say goodbye to months of uncertainty, because we’ll make sure you have CASH in two weeks or less. Yes! That’s all the time we need to close a sale. You'll also save money on realtor commissions and attorney fees. They won't even exist. Closing costs? No. You'll even save on after-sale cleaning. Pack only the things that you want and leave the rest behind – we’ll do the junk hauling! That's right. We handle it all. Call us or contact us using our online form if you want to sell your house fast in Milwaukee without a single worry. We'll offer a quote in the wake of assessing your property and evaluating property estimations in your neighborhood. We'll then explain how we've arrived at your offer price. If you’re happy with the quote, we’ll put everything in place for the settlement. We don’t hassle homeowners or force anyone to sell their home. Our quotes are non-obligation. You can accept or refuse. There are never any unpleasant surprises with us. Don’t waste your time and money trying to sell your house through a real estate agent. Call us at (414) 435-2888 and get a free quote. We buy houses in Milwaukee WI and encompassing territories. Now and again, the individuals who possess property essentially have lives that are excessively occupied with, making it impossible to require the investment to do all of things that commonly should be done to set up a house to offer available… if that portrays you, simply let us think about the property you'd jump at the chance to be freed of and offer your home now for money. Cash Home Buyers Milwaukee - We Buy Houses in Milwaukee. Most Importantly, We Buy These Houses for Cash. We can demonstrate to you precisely generally accepted methods to offer your home in days rather than months. As the premier house buyer in Milwaukee, we buy homes for cash in any condition, zone, and price range. We gives you a superior option approach to offer your home quick versus the unbending and obsolete Real Estate Agent Way. Not exclusively do the neighborhood home buyers at Finally Sold give the control back to YOU where it has a place, however, they additionally give you these three critical things that the Real Estate Agent Way just can't give: SPEED, CONVENIENCE, and CERTAINTY. 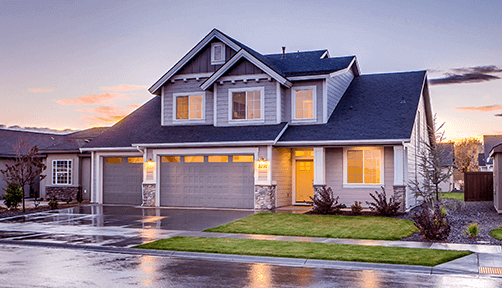 Cash home buyers Milwaukee Offers, the universes biggest gathering of private home purchasers has a speculator in Milwaukee that can make you a money offer for your home and close inside days. Our purchasers have years of involvement with numerous issues identified with land including probate issues, title issues, abandonment, liens, judgments, trashy homes, rundown houses, establishment issues, and pretty much whatever else you can think of. Do you need to sell your home for any of these reasons? Contact us now for an immediate cash offer! We can close in less than two weeks. be reached at (414) 435-2888. There are absolutely no obligations! Dear Nick Ruiz I would like you to know what I have told everyone I spoke to about Wally selling… Read more. Nick- Diana and I would like to express our gratitude for your expedient handling of our real estate dilemma. It… Read more. Nick Ruiz is an easy person to work with. He always says, “Call me if you have any questions”. He… Read more. I inherited a house that needed numerous repairs. An acquaintance told me about Nick Ruiz of Smart Home Solution LLC.I… Read more. Walter & Nancy Read more. Veronica Jaeger, Milwaukee Read more.